There has been a lot of discussion on this site and in the forum about families that have experienced tremendous loss because of a family member’s involvement in the World Mission Society Church of God. WMSCOG members have of course denied accusations that the organization in any way encourages division among family members, while at the same time justifying the occurrence of such divisions by pointing to Biblical passages. If the WMSCOG claims that they do not encourage members to separate themselves from family that are not members of the organization, then why does it seem like such a prevalent concern among our readers? What Does Chief Pastor Joo Cheol Kim Say About Family And Love? The Apostle Paul writes a similar list of sinful qualities that should be avoided in his letter to the Romans. 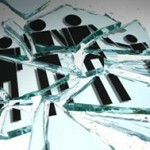 Does the Bible Support Separation From Family? Some of the Bible passages I have heard WMSCOG members use in order to justify separation from their families are Luke 18:29-30. The above verse implies leaving the family for a time to follow Jesus, not permanent separation or shunning of family members that do not agree with the WMSCOG doctrine. This is evident in that permanent separation from a spouse for example, would be the equivalent of divorce and would directly contradict verses like Malachi 2:16, 1 Corinthians 7:10-11, Mark 5:32 that clearly oppose divorce and separation. The WMSCOG would be correct in their interpretation to state that one should continue believing in God and being involved in the church regardless of what family members may think, but it is simply adding to the text to say that one must leave family members if they express any resistance. The “leaving” referenced in Luke 18:29-30 is quite literally a matter of a temporary physical journey, such as going on mission trip for one’s church. This interpretation easily reconciles with the rest of Scripture, whereas interpreting the “leaving” as a permanent separation (as my friends in the WMSCOG do) would violate themes of family unity presented elsewhere. This is why the “leaving” cited in Luke can only refer to temporary parting, and not a permanent one. Thus, if a WMSCOG member were to leave their family and cut off all ties, what does that indicate about the WMSCOG member according to the above verse? According to the Bible, the person who separates from his family and fails to provide for them is worse than the unbelieving family member. Again, this lends support to Luke’s reference to leaving one’s family as being only temporary. I have also heard WMSCOG members point to Matthew 12:50 in order to minimize the importance of ones family. The erroneous interpretation that Jesus refers to the crowd around him as his mother and brothers in order to demonstrate that family is not important would contradict other Scriptural accounts that demonstrate Jesus’ obedience and love for His parents. For example, in John 2:1-11 Jesus fulfills his mother’s request to turn water into wine even though He said was not ready to begin his ministry. Luke 2:41-51 demonstrates that Jesus obeyed His parents in their request for Him to leave the temple with them, even after He said that He “must be about His Father’s business”. Jesus showed love for his mother when He left Mary in the care of a “disciple whom He loved” prior to His crucifixion in John 19:25-27. Why would Jesus do this if he didn’t think his “physical mother” was important? What Jesus is actually doing in Matthew 12:50 is using a literary device known as hyperbole to make a point with His audience. He is not actually advocating that family is unimportant as His actions demonstrate elsewhere. Threats Against “Unbelieving” Family Members? “if relatives contact public officials or the media, their family member in the cult is often forbidden to have any further contact with the family…Many groups have reputations for sending members out of the area, out of the state, even out of the country, if relatives inquire about them, seem negative in any way toward the group, or talk with the media, authorities, or researchers” (p. 238). It can hardly be considered “talking behind the church’s and/or loves ones back’s” [sic] when the opinions are expressed in a public forum such as the Internet. All have access to this site and have the freedom to read it, despite the WMSCOG advising members not to read critical information about them on the Internet. What “consequences” is “Nick” referring to? Will the WMSCOG bring it to the member’s attention like they did in this former member’s story? Will the WMSCOG encourage the member not to have any contact with family members that are critical of the organization? Will the WMSCOG encourage the member to move to another area to “help start other churches“? It is preposterous for WMSCOG members to call it “slandering” when someone speaks out publicly about their personal true experiences with the WMSCOG and its members. The information is not slander just because members of the WMSCOG find it unfavorable to their group. Are the words “God bless you” at the end meant to distract the reader from what seems to be a veiled threat contained in the message? 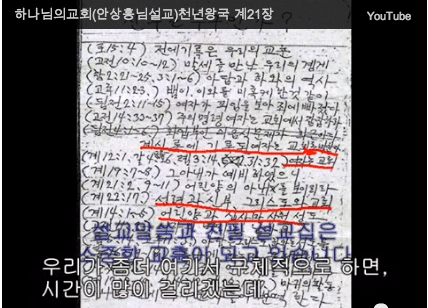 Joo Cheol Kim’s claims that parents, children, and love are often “temptations of Satan” without further clarification represent a possible danger for people who might use them to form an erroneous belief that separation from family that does not approve of or agree with the group’s doctrine is somehow supported or even commanded in the Bible. In our own time in the WMSCOG, when members could not make it to services, “the devil” was often labeled as the culprit, when there was actually a legitimate family need (for further examples of this see: “It’s not the devil… It’s my baby” or “What’s More Important, Your Mother or God?”). If you are a WMSCOG member reading this, I would ask myself what motive an organization would have if it suggested to me to disassociate from my family support system? What motive would an organization have to claim that my support system is a temptation of Satan, when the Bible, read in context, so clearly states otherwise? Could it be that the organization wishes to create a greater sense of dependency on the themselves by replacing my family support system with something else? Interestingly, cult expert Margaret Singer cites that destructive mind control groups also strive to create a sense of powerlessness and dependency on the organization by stripping members of their support system and their ability to act independently (Cults In Our Midst, p.65-66). This process is further aided if the person is physically tired, which can occur from being overly busy or waking up very early. 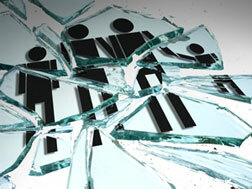 Once detached from one’s family, even more time can be spent within the organization, causing the cycle to repeat. 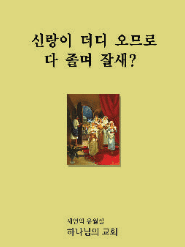 While I’m sure everyone’s experience within the WMSCOG is different, I think you will agree that Joo Cheol Kim’s opinion of family and love as expressed in his book “My Sheep Listen to My Voice” not only contradicts Scripture, but also represent a danger to people who might be confused into thinking that they have Biblical support for separating from their families, when in fact they do not. For more information on Margaret Singer’s six conditions for thought reform click here. *The copyright holder of the featured image is unknown. If you are the owner of the image please contact us.